Iran says it will start direct exports of its traditional hand-woven carpets to the United States from early 2017. Hamid Karegar, the head of Iran’s National Carpet Center, was quoted by the domestic media as saying that exports of Persian carpets to the US used to be carried out from Germany. On the same front, Karegar said Iran had shipped a cargo of carpets to Los Angeles from Hamburg after the removal of sanctions in January. The cargo weighed above 1,000 tons and had a total value of about $37 million, he added. “As of the calendar month of Bahman (21 January-February 2017), Iran will export carpets directly from its own ports,” the official was quoted as saying by IRNA news agency. Karegar said Iran used to export as much as $80 million of Persian carpets – globally known as one of the oldest and most valuable oriental handicrafts – to the US. He added that the sanctions, however, brought the exports to the world’s largest buyer to zero in 2010. He further added that Iran had exported $134 million worth of handmade carpets, or 2,330 tons, to 80 countries between March and September this year. The exports over the period, he emphasized, showed an increase of 18 percent in value and 11 percent in weight compared to the same period last year. 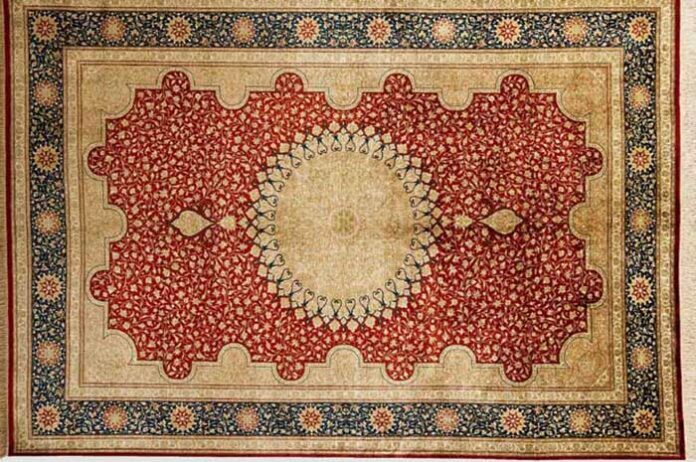 Karegar also said Iran’s Ministry of Industry, Mine and Trade was trying to have the designs of Persian carpets registered internationally, stressing that this is meant to prevent rivals producers such as India and Pakistan from copying Iranian designs. The official said Iran has a total of 40 carpet designs that each belong to a different geographical region. He added that 29 of those designs have been internationally registered in the World Intellectual Property Organization (WIPO) over the past two years.